We’ve all been there. 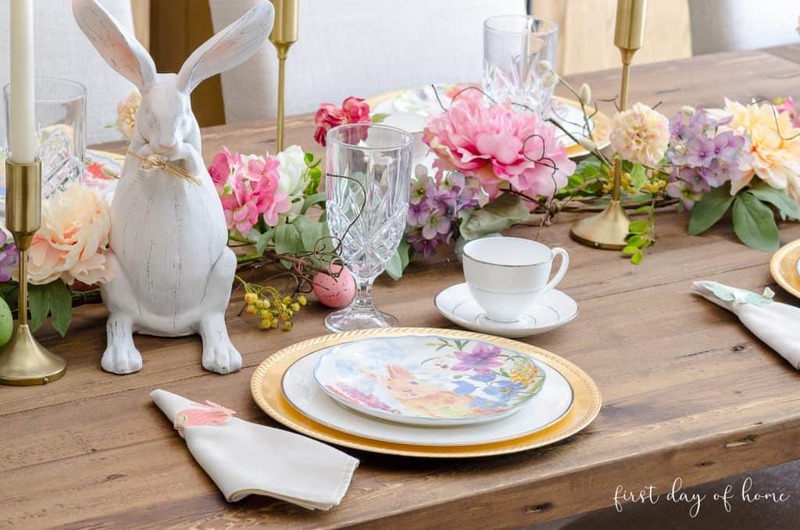 You’re on the hook to host Easter brunch, but you haven’t planned anything yet. 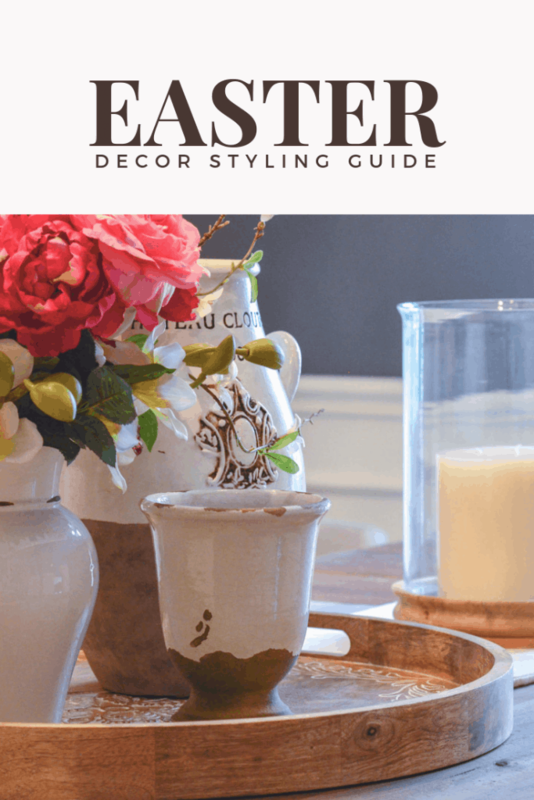 I’m here to help with quick and easy DIY table decor for Easter. 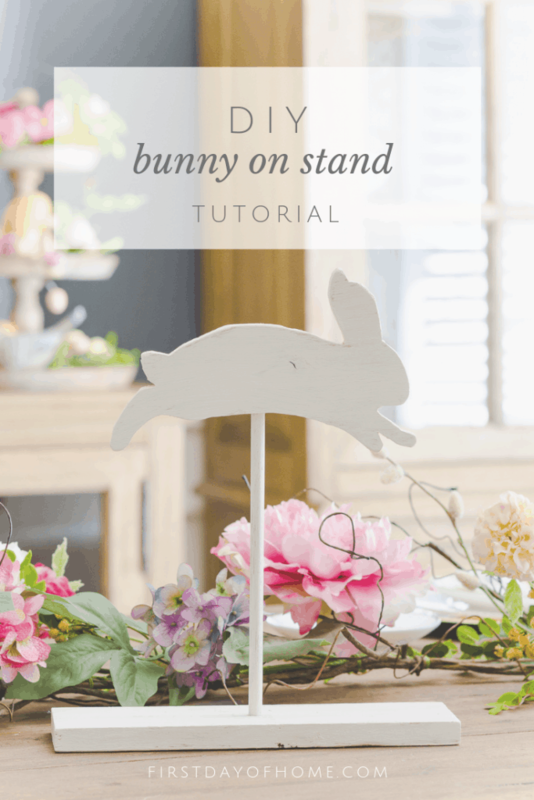 Today, I’m showing you how to make easy bunny napkin rings with free SVG and JPEG files to create the look at home. 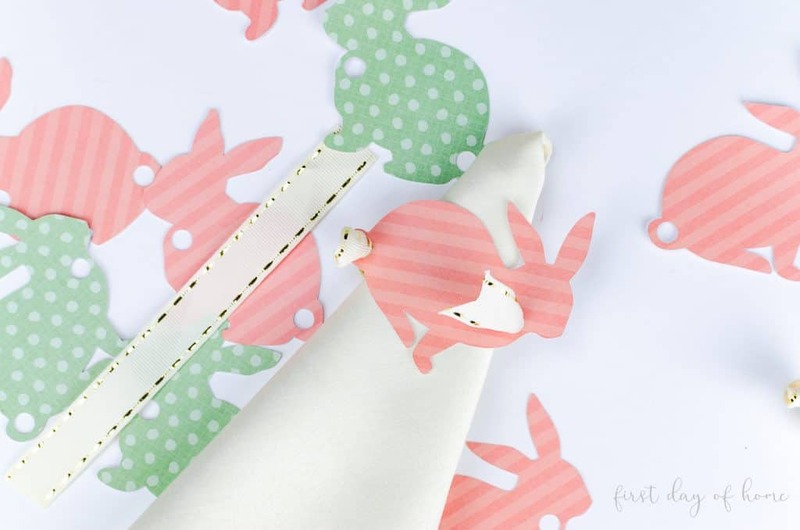 You can download your free bunny napkin ring template at the end of this post. 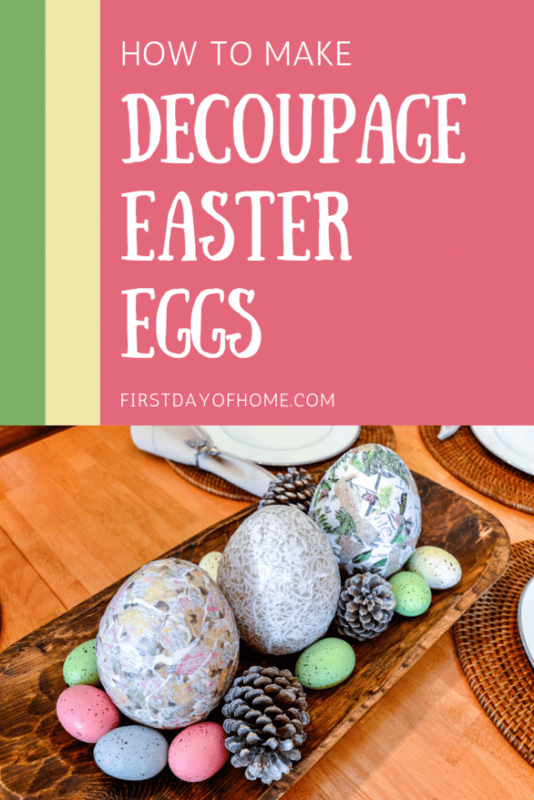 Keep in mind, the template also makes for a great Easter banner or other spring craftsy goodness. I designed these napkin holders in both JPEG and SVG format, with two different bunny shapes. Open the free printable JPEG file in a word processing or other image editing program. 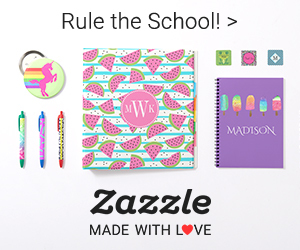 Copy/resize the images as needed and print. 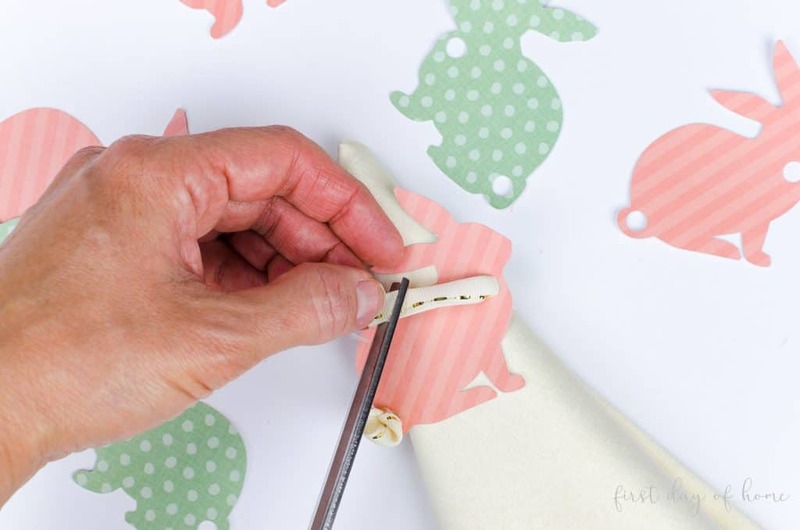 Use scissors to cut the bunnies and then make holes using a standard hole punch. I always prefer to use my cutting machine for intricate designs like this. That way, there are no extra steps other than attaching your ribbon. Hooray! To create the “tail” of the bunny, first make a knot on one end. Once you’re satisfied that your bunny has enough “junk in the trunk,” slide the other end of the ribbon into the hole for the tail. Make sure the knot is facing up. Then, pull the other end of the ribbon through the second hole, and trim the edge with a v-cut as shown below. I used double-sided tape to secure the ribbon to the bunny neck. You can also use a dab of hot glue. 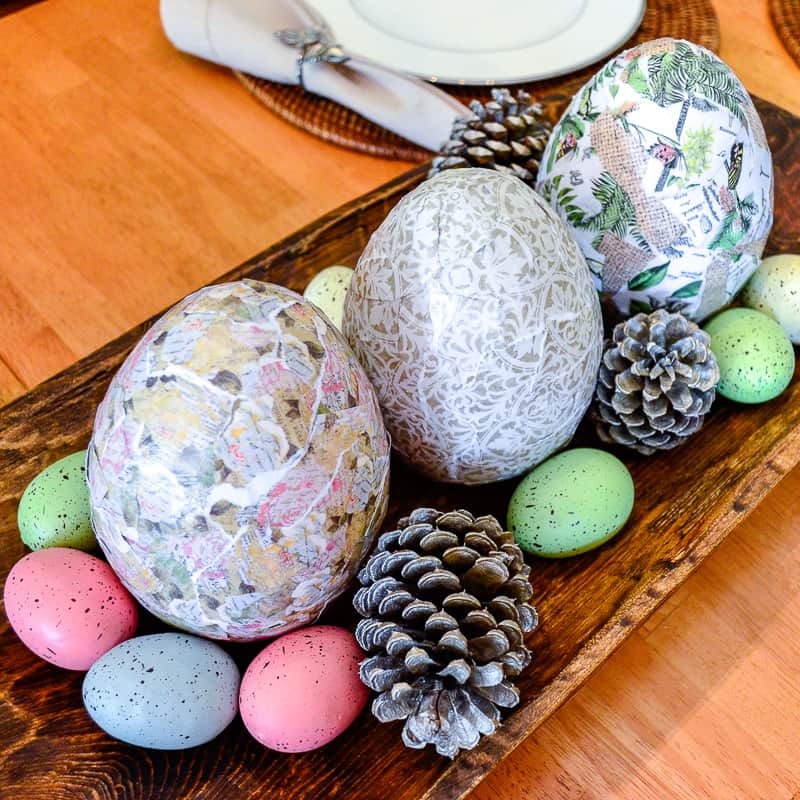 I included these DIY napkin rings in my Easter tablescape decor. 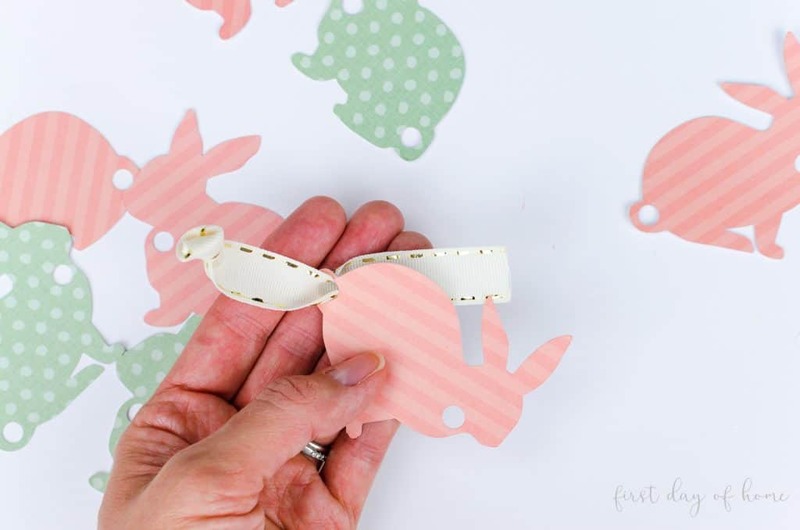 There are so many other possibilities for mixing and matching with your little paper bunnies. 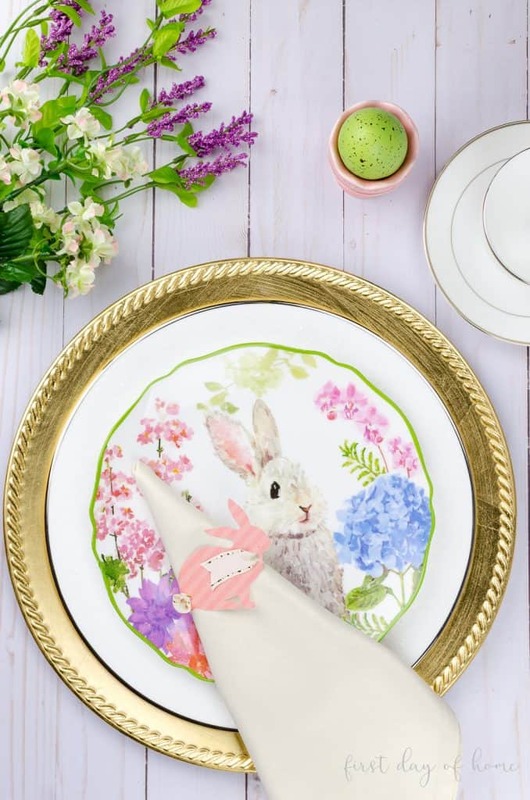 This season, I’ve seen so many gorgeous napkin sets out there to decorate an Easter table. It’s hard to choose just one favorite, so I’ve rounded up my best neutral napkin picks from Amazon below. (Prime shipping, anyone?) All napkin sets have 4-5 star ratings and are under $20 at the time of this posting. 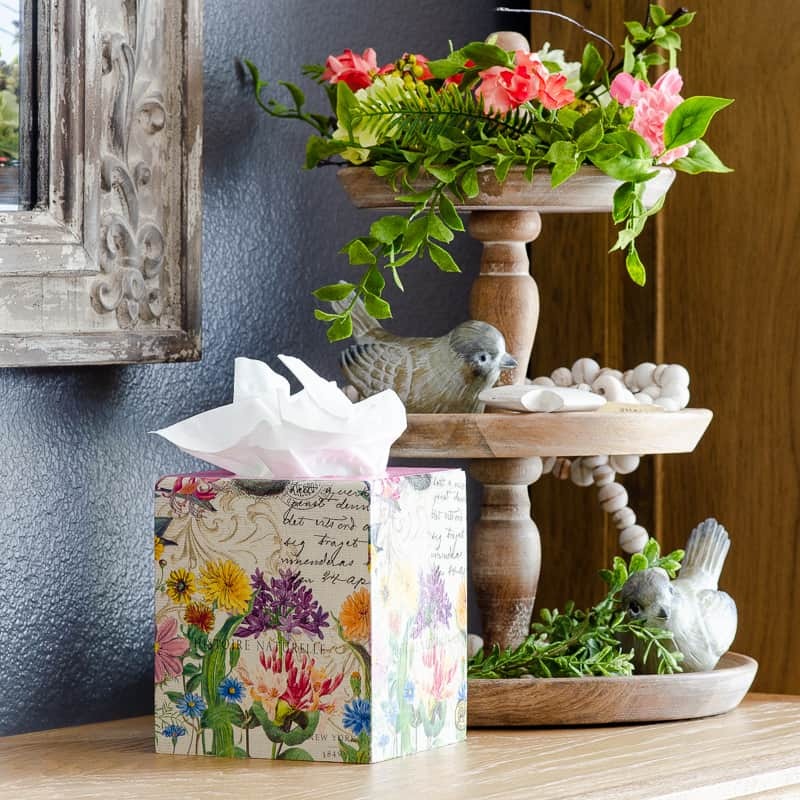 You can pick your scrapbook paper to complement any style. I always try to balance a busy napkin fabric with a more solid patterned napkin ring or vice-versa. 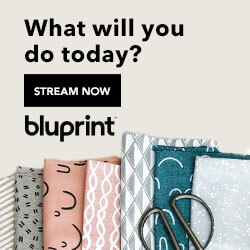 Have you noticed all of the fancy napkin folding on Pinterest lately? 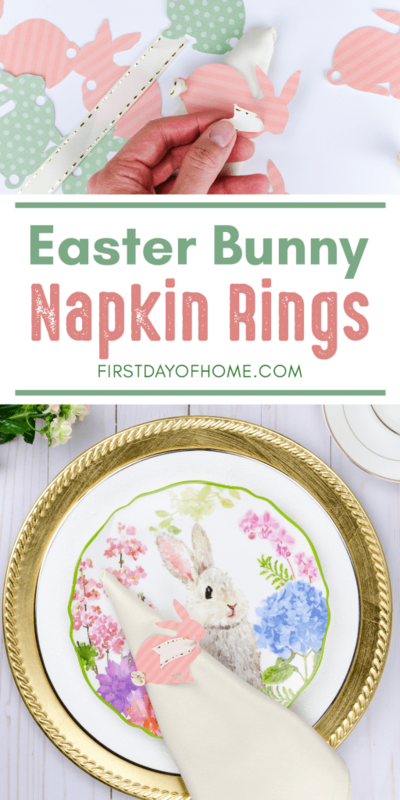 For this project, I chose to make a simple triangle shape to slide my Easter bunny napkin rings onto my linens. Maybe I’ll try origami napkins next Easter. 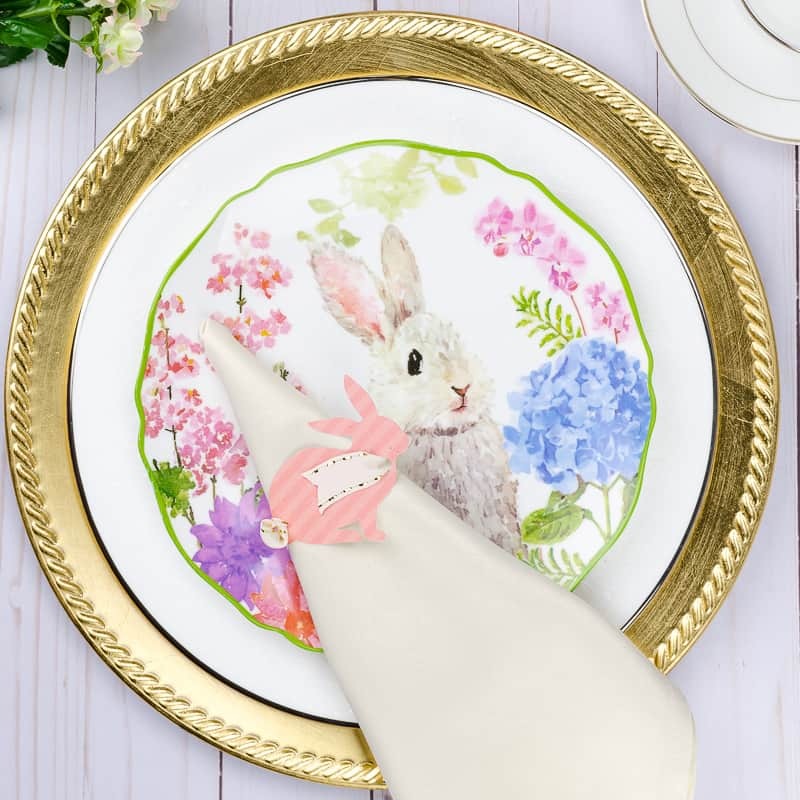 Aren’t these little bunny plates so stinkin’ cute? 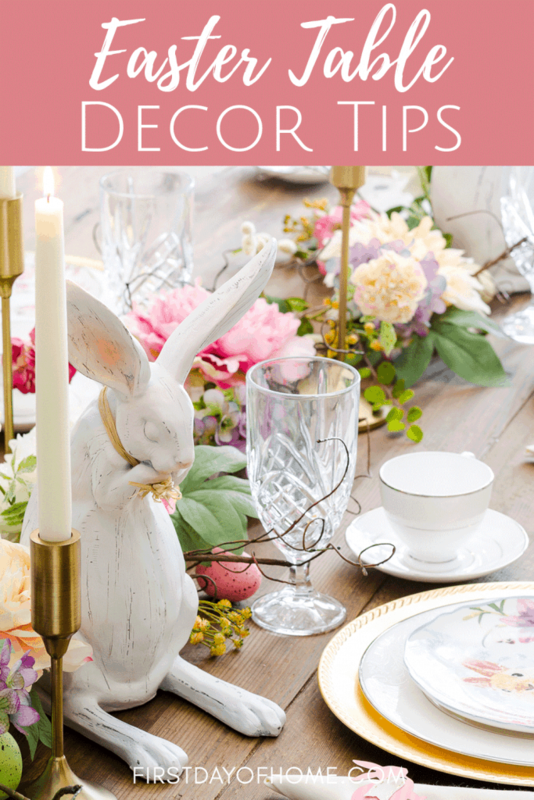 You can read all about my full table setting in this Easter decor post. 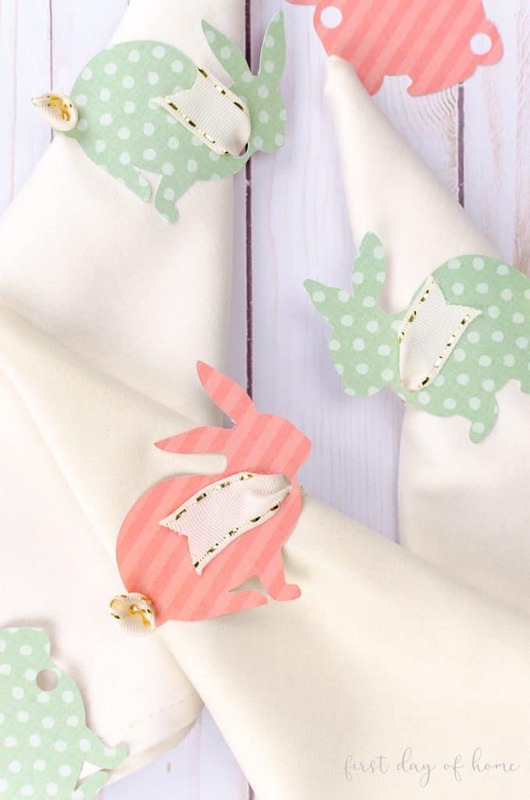 I love the way these bunny rabbit napkin rings turned out. 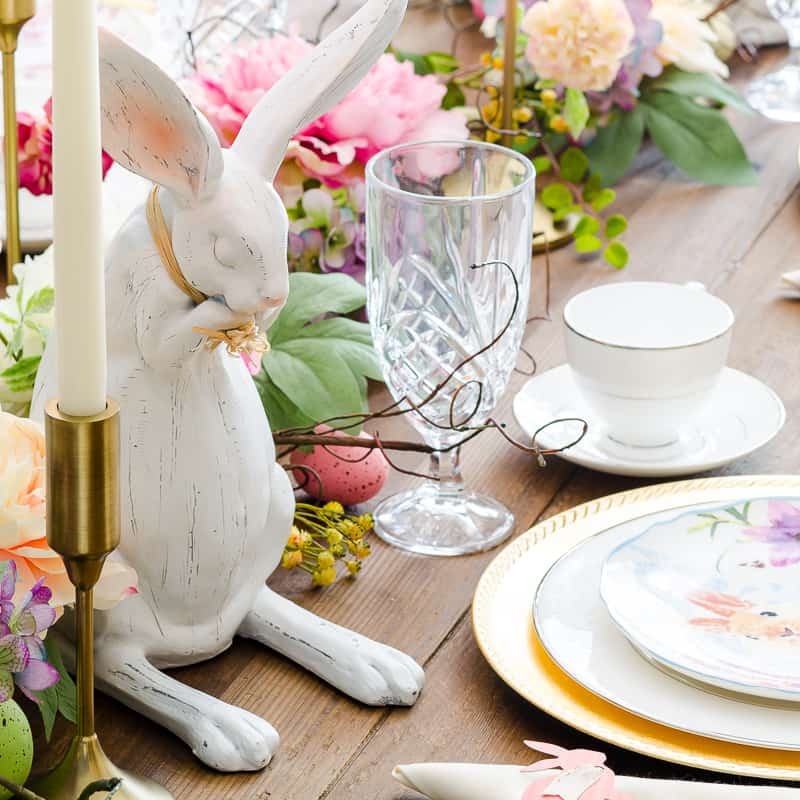 They add such charm to my Easter table, and I didn’t spend extra money on napkin holders that I have to store somewhere! 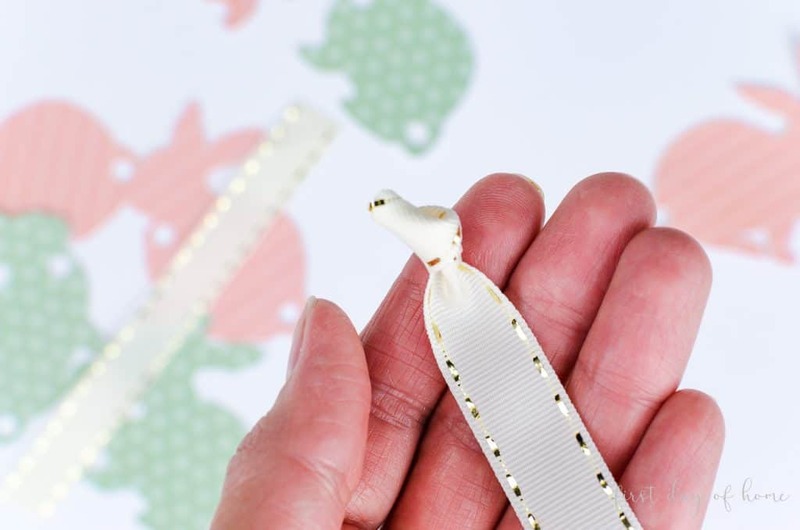 For more customization, you could try adding little flowers or greenery to the necktie on your bunnies. Jute string would also help you achieve the coveted farmhouse style, if that strikes your fancy. Oh, the possibilities. 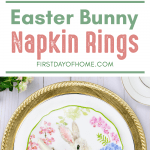 To download your free bunny napkin ring template and receive all future freebies and special offers, please sign up below. I don’t believe in spam here, so your e-mail is safe with me. Unsubscribe any time. As always, I appreciate you pinning this for later and sharing this post with friends!